Former Strikeforce and UFC bantamweight champion Miesha Tate retired from MMA last year after a unanimous decision loss to Raquel Pennington. According to an interview with MMAFighting.com, she just couldn’t get into the zone that night. Instead, she describes a feeling that, even to an amateur fighter, will sound uncomfortably familiar. She knew after that, it was time to call it quits, and retired in the cage immediately. Sometimes, those instant decisions don’t stick. For Tate, though, time only increased her certainty. 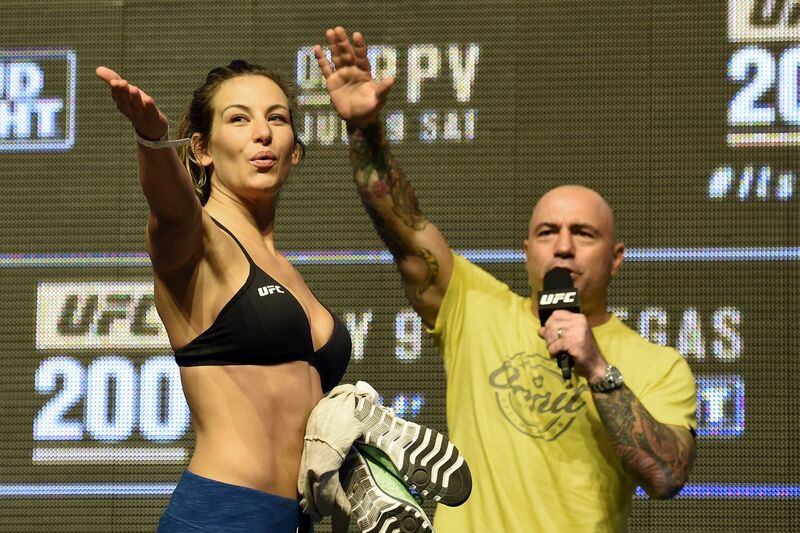 Now, she focuses her energy on other aspects of the sport- including fighter management. She partnered with Robert Reynolds, who has managed such bands as the Killers and Imagine Dragons, and Robert Callister, to form AO8 Management. They have signed several professional fighters, including Gina Mazany, Cindy Dandois, and Gustavo Lopez, and are set to represent Amanda Serrano, a five-time boxing champion who intends to compete in MMA at flyweight. Mixed martial artists face unique challenges early in their career. MMA, even for most UFC fighters, is not lucrative. Many regional fighters have to juggle buying nutritious food with paying their bills and raising their children. Tate said the Reebok deal didn’t help, shafting fighters with an inability to raise money via sponsorships. That is one of the reasons Tate wants to help, and she also sees the role as fulfilling that need for competition and achievement that drove her own career as a fighter. In my opinion, there is a lot of ignorance in this sport. Anybody can break in. A businessman can come in out of the woods and be a manager. A lot of these guys have egos and they’re controlling these kids’ careers. They should take it upon themselves to do what’s best and talk to a fighter’s coach, before they even get feedback from the fighter, on what direction they’re going. That’s something I’ve seen in boxing that this sport could learn from. Mixed martial arts has historically been a male-dominated sport, but Tate was part of the group that helped shatter the glass ceiling. Management in the sport has also heavily skewed male. In recent history, only a handful of female managers have achieved any notable success, among them Shari Spencer, who worked with Georges St-Pierre and Frankie Edgar; Ana Claudia Guedes, who has long guided former heavyweight champ Junior Dos Santos; and Tina Vidal, who managed Yoel Romero and Jorge Masvidal, among others. Francis Ngannou is an incredible athlete, especially for heavyweight. Grappling master Gary Tonon beat Conor McGregor’s Brazilian Jiu-Jitsu teammate Dillon Danis on one good knee! I never would’ve posted these photos if I had lost my match at @polaris_professional. The reason is simple, no matter what’s happening in life, no matter what excuses you have, no matter what hardships you go through, no one really cares about anything but results, and rightfully so. I’ve had serious injuries sicknesses, family members die, all before major tournaments. But guess what? You think I’m the only one? Do you think life is ever going to go perfectly? Hell no! Honestly I wouldn’t have it any other way. I live for adversity and tough times, it makes me feel alive, and it makes victory and accomplishing goals taste that much sweeter. A couple weeks or so before Polaris I got a serious rapidly developing staph infection in my knee. It was so painful I could barely walk, I got very sick very quickly, I had to stay in the hospital for 36 hours with IV antibiotics to clear the infection. It took me out of training for over a week. When I resumed training it was extremely painful. If I lost however, you wouldn’t even hear about it, Because no body gives a danm about your excuses! Huge thanks to my friends @antnyneoguido @jeffreyschu @ottaviabourdain and @eddie_wolverine for visiting me and bringing me food. Thanks to Karim for helping me get the treatment I needed and not letting me die. The next superstar in MMA? I love this old picture. Braddock was the subject of the movie Cinderella Man, starring Russelle Crowe. It’s the weekend, and you know what that means: Mixed Martial Arts action has already begun. That’s an incredibly bad stoppage. Check out this Lomachenko playlist for more Loma goodness.